Jack Russell Rescue CA - Meet your new best friend, adopt today! Meet your new best friend, adopt a Jack Russell Terrier today! The Jack Russell Terrier is a happy, bold and energetic dog. They are extremely loyal, intelligent and assertive. Their greatest attribute is their working ability, closely followed by their excellent qualities as a companion. A Jack Russell can be equally content bolting after a fox or chasing a toy in your living room, or equally adept at killing a sock in the living room or a rat in your barn. Their funny antics will continually amuse you, their intelligence seems to know no bounds and their loving energy will always keep you on your toes! 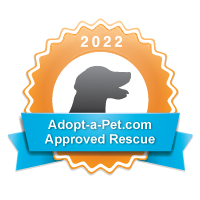 Jack Russell Rescue CA makes it easy to pay your adoption fee online! Please do not pay your adoption fee until you have been approved to adopt and have received a copy of your adoption contract.